On the one hand, you have the standard, every day tea blend you find sold in a supermarket. To a tea connoisseur, these tea bags brew a bad cup of tea. But there is another kind of tea bag – one that contains good quality specialty teas. 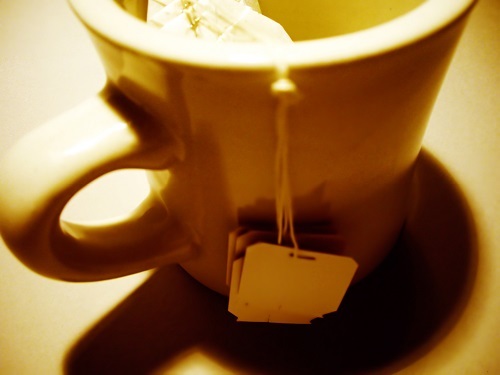 These tea bags can be found online, in major stores, and in specialty retail shops. The tea in these bags is generally the same tea you would find sold as loose leaf tea. It’s simply loose leaf tea sold with the convenience of a tea bag. However, on the whole, tea bags do brew a poorer quality tea than loose leaf tea. Tea connoisseurs usually limit tea bags to emergency situations or to when they’re serving tea to someone who can’t tell the difference. While the loose tea vs tea bags battle is no longer as much of a disparity as it used to be, loose tea is still the winner. If you have the choice between loose tea and tea bags, choose the loose tea. However, don’t worry if you only have tea bags. You can brew a much better cup of tea with a tea bag today, than you could have ten years ago. And even if you have a choice between loose tea and tea bags, and you choose tea bags, that’s fine too. There’s nothing wrong with using tea bags if that’s what you prefer. For your next cup of tea, who will be your winner in the loose leaf vs tea bags battle?